Create a strategic market-entry plan for the successful introduction of the Sleep Outfitters brand into the Knoxville area. We were focused on driving sales during the event and attracting customers to new stores. Typically, mattress brands are very promotional, especially with Grand Openings. We knew we had to take a totally different approach and emphasize a better shopping experience, which is what sets Sleep Outfitters apart. 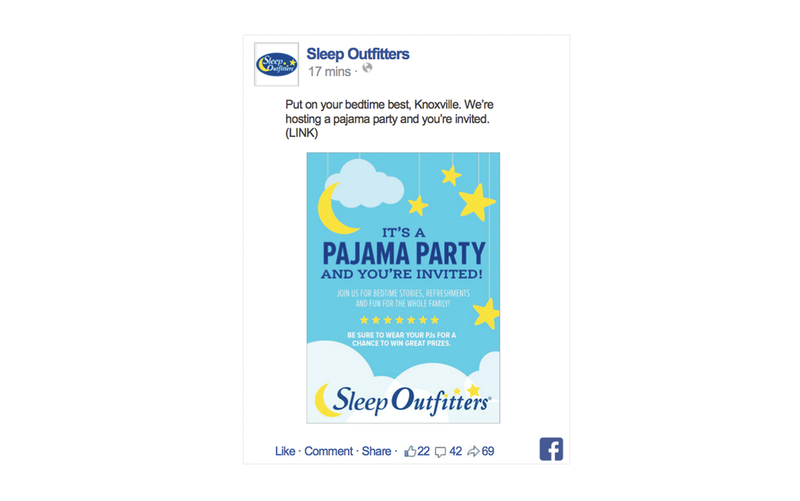 Our strategy focused on choosing a mix of paid, owned, earned and shared tactics to raise awareness in Knoxville and show why Sleep Outfitters was worth visiting during their grand opening event. We also demonstrated the brand's commitment to the community by partnering with influential people and organizations already in the area.